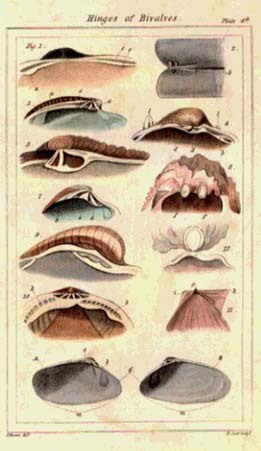 Barter Books : Brown, Thomas : The Elements of Conchology or Natural History of Shells According to the Linnean System. With Observations on Modern Arrangements. London: Lackington, Allen & Co.; &c.
Nine engraved plates including five hand coloured. 240 x 140 mm (9 x 6 inches) - [iv] 168pp. G : in Good condition. Cover rubbed with corner wear. Spine worn. Plates bright. Ex Royal College of Surgeons Ireland Library.